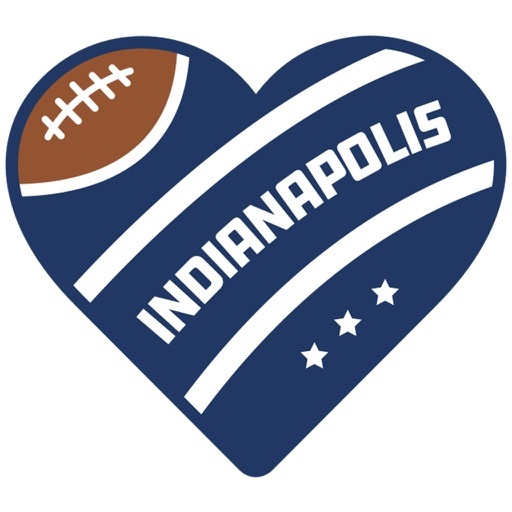 Indianapolis Football Louder Rewards by Influence Mobile, Inc.
Do you like free Indianapolis Colts gear? 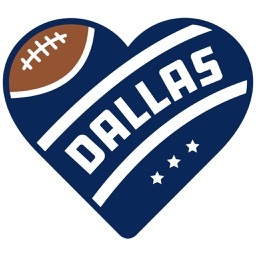 Need to check scores or a Colts schedule? Do you know what year the Colts got their start in the NFL? Then Louder Rewards is the app for you! 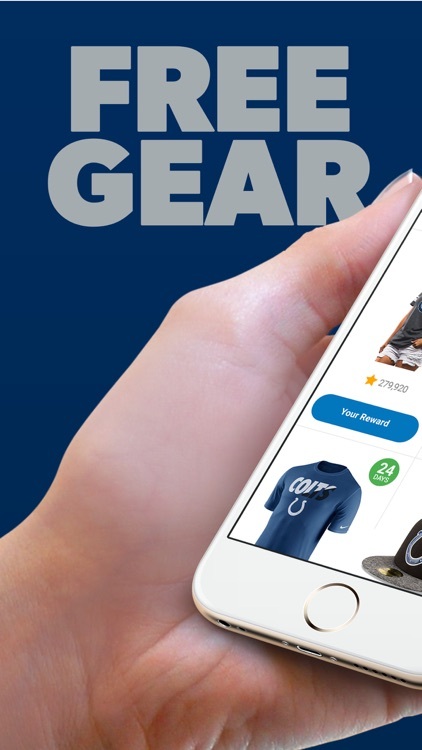 Earn FREE gear for playing games, answering Indianapolis Colts trivia questions and reading articles about the team and players! It’s the only app that makes you feel like you’re in the middle of Lucas Oil Stadium! You’re still rocking that guy’s jersey? He was traded years ago! Freshen up for the current season with new gear, earned right here in the app. You could be the first one at the BBQ sporting a Stevan Ridley or Jordan Todman jersey this year. It’s slated to be another Super Bowl run by Chuck Pagano and the Colts after last year’s close attempt. Scott Tolzien and Josh Freeman will provide backup support for Andrew Luck. T.Y. Hilton, Donte Moncrief, Dwayne Allen, and Phillip Dorsett will dominate the offense. Quan Bray is predicted to be healthy as ever this season, and some key players like Erik Walden and Tevin Mitchel will be a huge help. 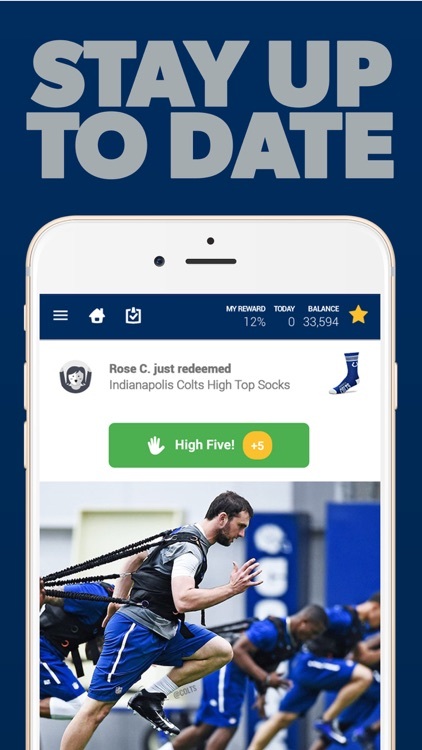 Download the app today and start earning FREE rewards, just for keeping up with Andrew Luck and the rest of the squad! 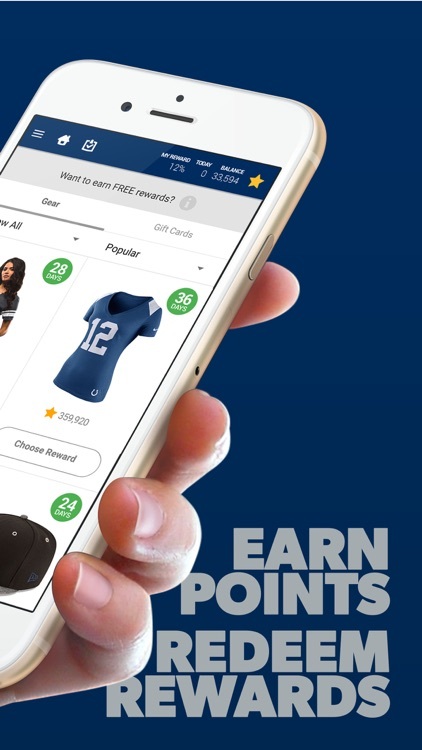 From football gear to gift cards, everything is totally free to earn, through games like trivia! - Indianapolis Colts schedule, scores and stats. 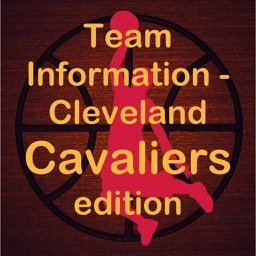 - Play football trivia for points to prove how much you know about NFL teams and players! 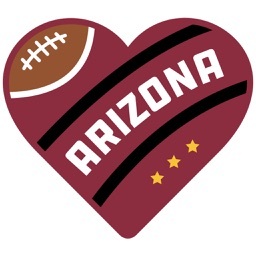 Notice: This football app is developed and published by Influence Mobile creators of the Louder Rewards app franchise. The app is not endorsed, licensed or sponsored by the Indianapolis Colts, Stevan Ridley, Jordan Todman, Chuck Pagano, Scott Tolzien, Josh Freeman, Dwayne Allen, Erik Walden, Tevin Mitchel, Andrew Luck, T.Y. 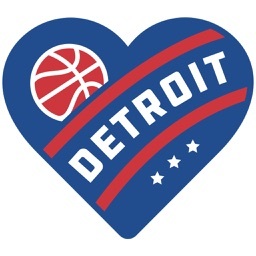 Hilton, Donte Moncrief, Phillip Dorsett, Quan Bray, Frank Gore, Robert Turbin,Vontae Davis, Pat Mcafee, Robert Mathis, Sio Moore, Mike Adams, Patrick Robinson, Stephen Morris, Trent Cole, Edwin Jackson, or Lucas Oil Stadium.